Lately I've been feeling a little bit unwell. Not extremely unwell with a fever, but just like I'm coming down with a cold and a sore throat. When I feel like this there is only one thing I crave, and that's ginger. 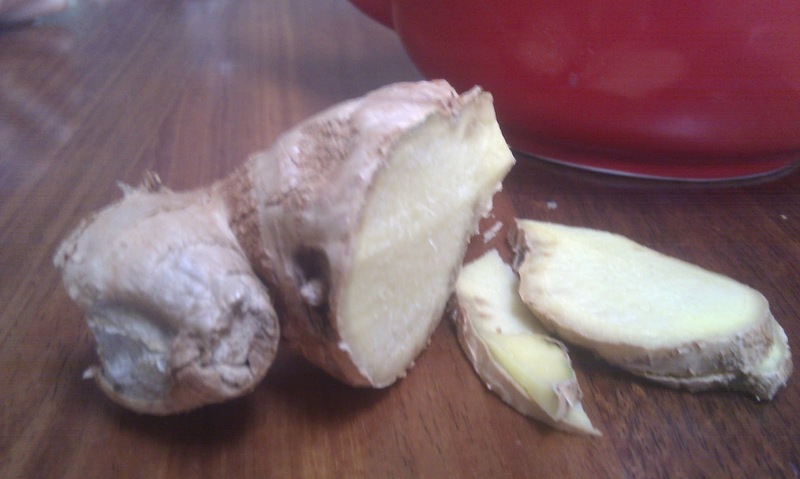 Whenever you feel the first signs of a scratchy throat, or a sniffly nose, ginger is your best friend. Ginger tea is very simple to make. Simply slice about 2cm of fresh ginger root into thin slices, and place in a teapot with boiling water. Let it steep for 5 - 10 minutes. Pour into a cup with 1/2 teaspoon of honey and the juice of about 1/2 lemon. 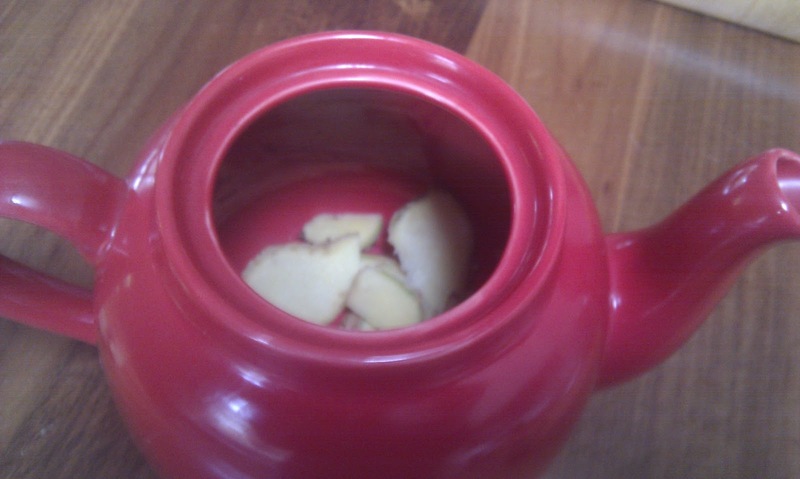 Or, if you like a stronger brew, you can simmer the ginger in a small saucepan for 5 - 10 minutes. When drinking ginger tea you should feel a pleasant tingle in the throat which is quite soothing. Ginger is typical of the wonderful world of herbs - it has many actions and can therefore be used for many different conditions. This is in complete contrast to pharmaceutical medicines which are typically used for one condition only. anti-nausea - used for motion sickness, morning sickness, nausea and vomiting. Ginger is inexpensive, effective and easily available. What more can you ask from a remedy! Ginger used in dietary amounts shouldn't cause any interactions with medications. However, if taking high dose ginger supplements there is a possibility of an increased bleeding risk with drugs used to prevent blood clots such as Warfarin and aspirin, due to ginger's antiplatelet effects.